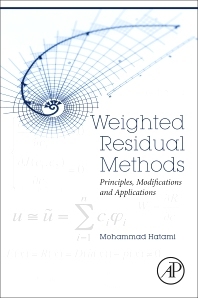 Weighted Residual Methods: Principles, Modifications and Applications introduces a range of WRMs, providing examples that show how they can be used to solve complex engineering problems with greater accuracy and computational efficiency. Examples focus on non-linear problems, including the motion of a spherical particle, nanofluid flow and heat transfer, magnetohydrodynamic flow and heat transfer, and micropolar fluid flow and heat transfer. These are important factors in understanding processes, such as filtration, combustion, air and water pollution and micro contamination. In addition to the applications, the reader is provided with full derivations of equations and summaries of important field research. Researchers/MScs working on projects involving heat transfer, nanotechnology, nanofluid flow, or particle mechanics.